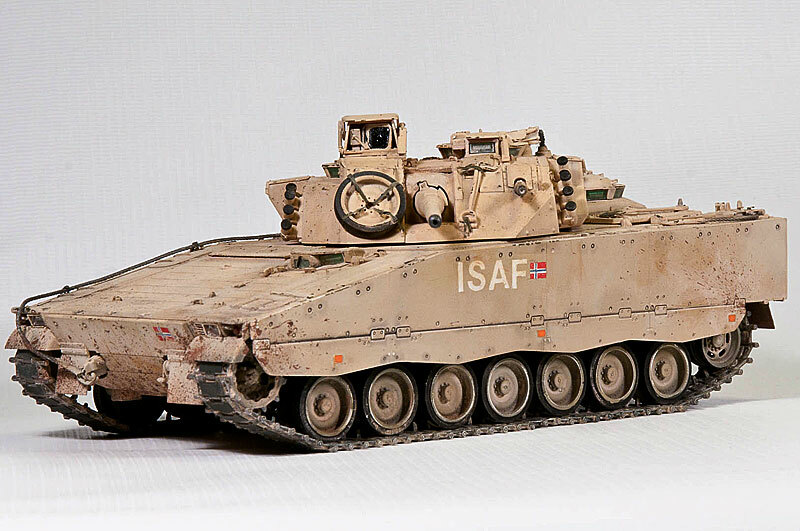 This is the Hobby Boss 1/35 kit of the Hägglunds (now BAE) CV90 version used by Norway. 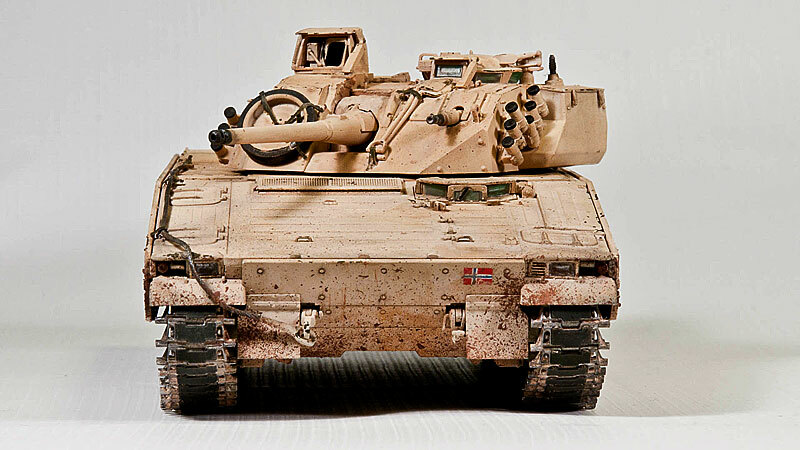 Norway was the first export customer of the CV90 IFV. 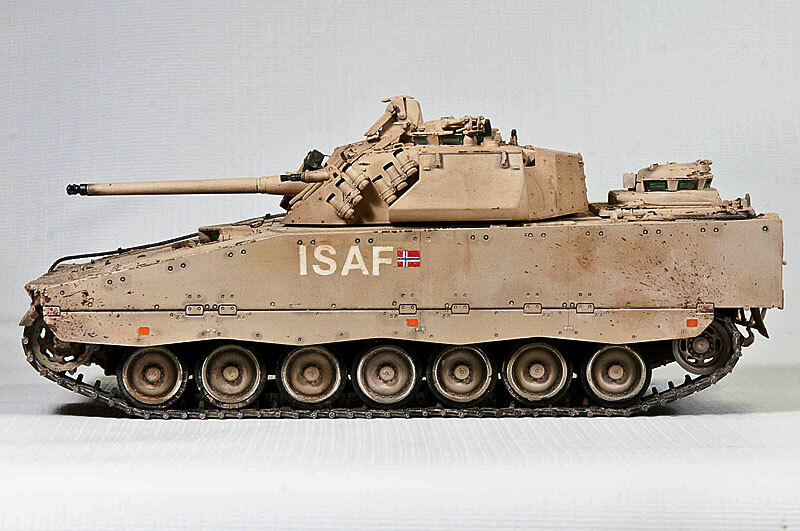 It is, as its name suggests, equipped with a 30mm Bushmaster chaingun. 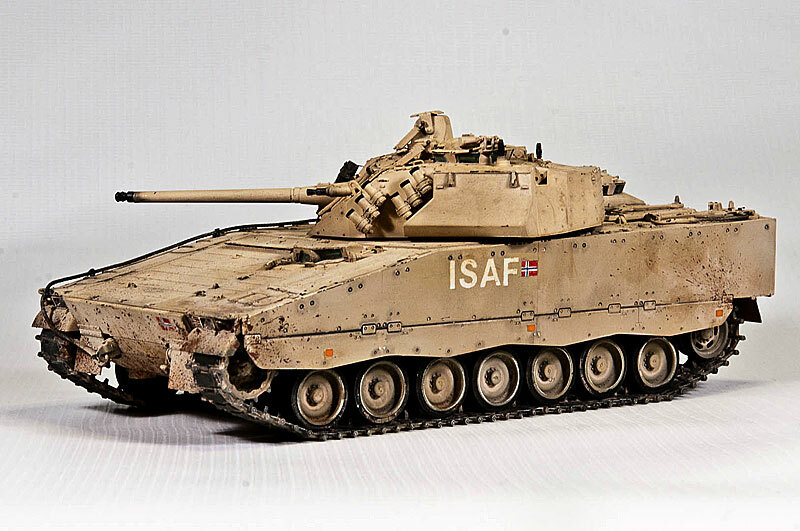 The model is built more or less out of the box. 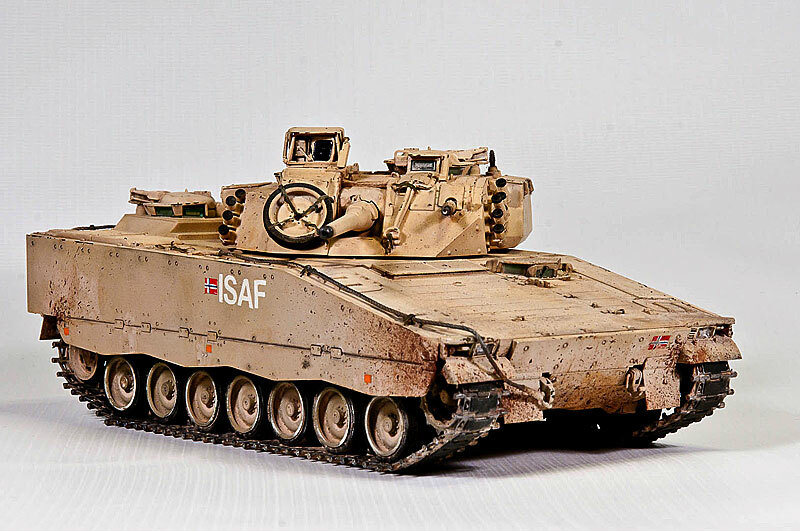 I did however mask and paint the markings to portray a vehicle used in Afghanistan. The tow cables are also added, since the kit did not have any. 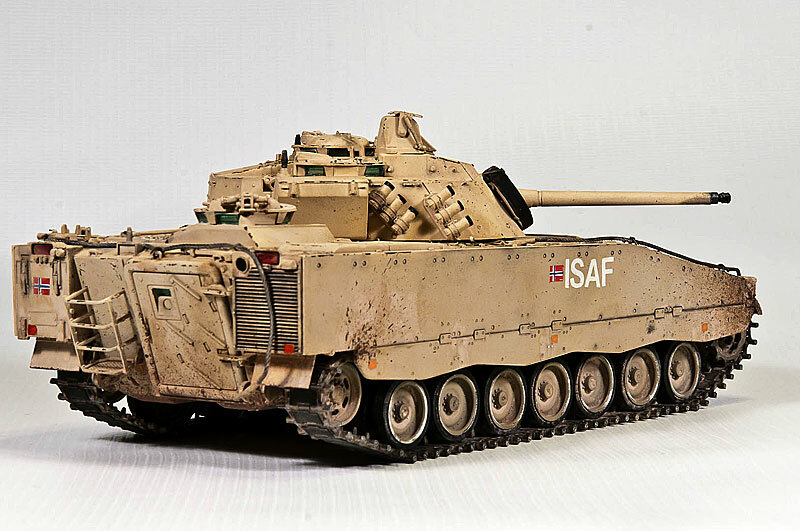 This entry was posted in Finished work, Gallery and tagged 1/35, Armour, CV90, CV9030, Hägglunds, Hobbyboss, Strf 90. Bookmark the permalink.